Throughout the year we host retreats for artists and artist-run organizations from all over the country. It's an opportunity for groups of creative people to take a breather together, rethink their missions, do strategic planning, or just hang out and explore Wassaic. We recognize the value of creative leaders, and this our way of supporting and celebrating them! Retreats are by invitation only. But if interested, reach out to will@wassaicproject.org. FJORD is an artist-run exhibition space in the Kensington arts district of Philadelphia. They joined us for a weekend in Wassaic in November 2017. 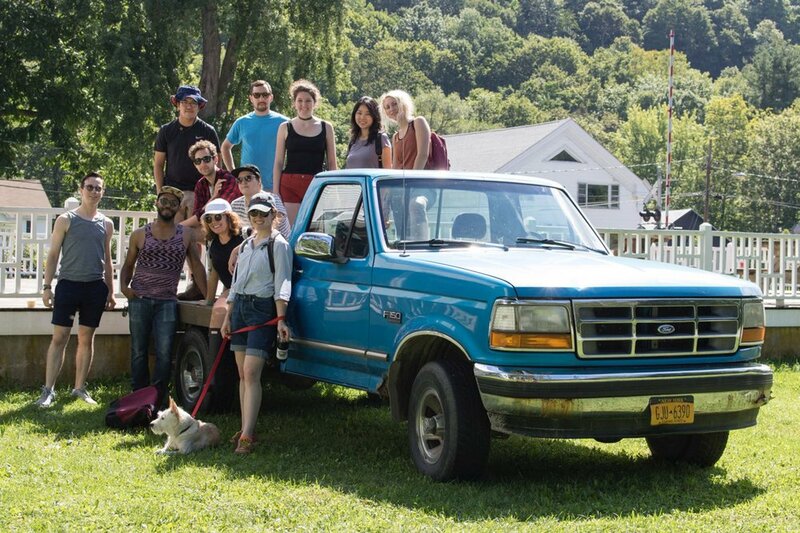 "FJORD was thrilled to have the opportunity to spend a weekend at the Wassaic Project for a fall retreat. 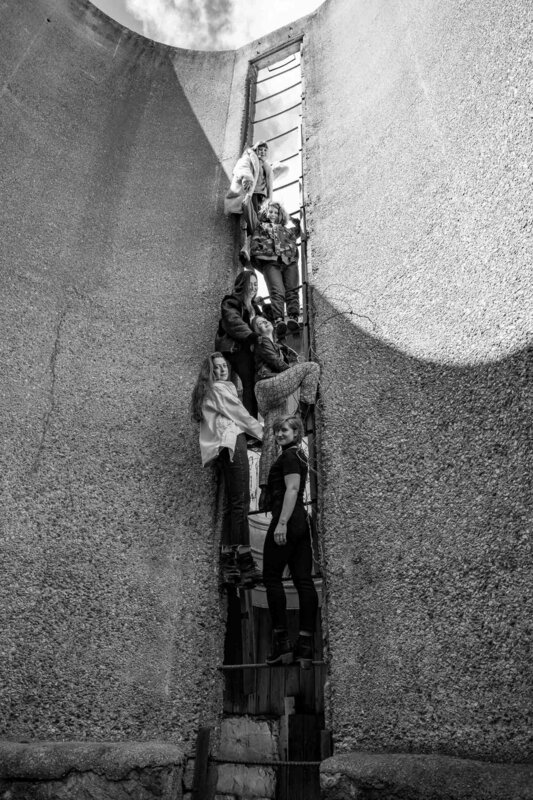 At the time of our visit we had recently welcomed four new members to our artist-run collective, so this was an important time to spend together and re-establish our group dynamic as friends and members of the space. We used our time at Wassaic to revisit our mission statement and work on a proposal for an upcoming curatorial project; we also spent a considerable amount of time sharing the work of artists we would like to bring into future exhibition programming at FJORD. We enjoyed cooking together, building bonfires, and wandering around the beautiful Hamlet of Wassaic. It was a very productive couple of days that brought us closer together and has inspired us to make time for another retreat, or even two!, each year. Many thanks to Will and Wassaic for being wonderful and generous hosts!" Hamiltonian Gallery is an artist-run gallery based in Washington, DC. They visited Wassaic in August 2017. "When we visited the Wassaic Project we viewed the 2017 summer exhibition, Vagabond Time Killers and attended eight resident's studios. The Wassaic residents and staff were very giving of their time and welcomed us as one of their own. Though my experience at Wassaic was short, it was rewarding on so many levels. One thing that resonated with me was Wassaic's impact on and connection with not only its residents but with the town folk of Wassaic, NY. 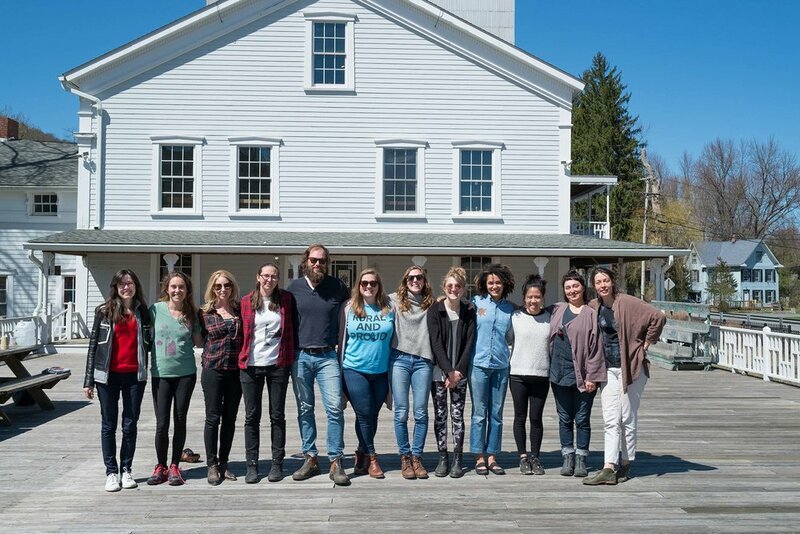 Wassaic is a true example of a residency program that fosters communities." Material Girls is a flexible and non-hierarchical collective of artists dedicated to building community, fostering collaboration, and opening up space through responsive programming: facilitating exhibitions and educational initiatives, offering freely available resources, and sharing tools. 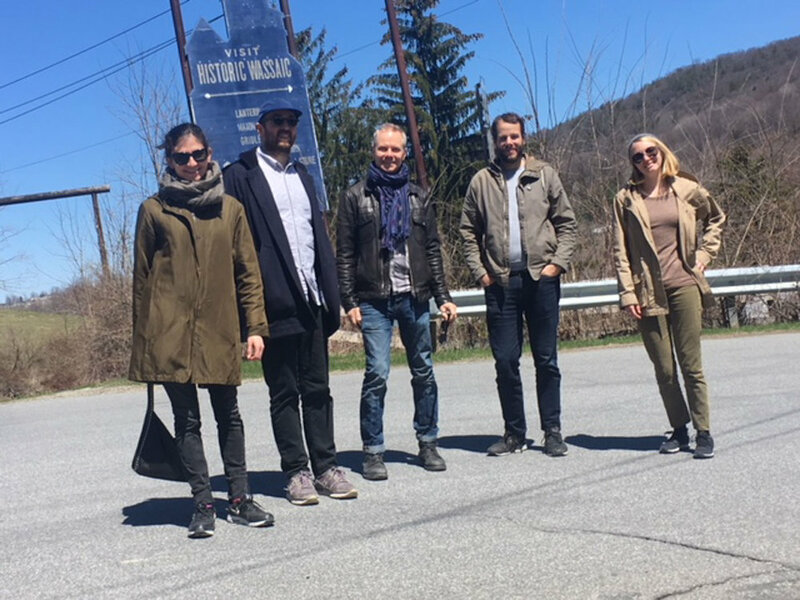 They visited Wassaic in April 2019. Tiger Strikes Asteroid is a network of artist-run spaces with locations in Philadelphia, New York, Los Angeles, and Chicago. Each space is independently operated and focuses on presenting a varied program of emerging and mid-career artists. They joined us in both April and November of 2017. "We're so grateful for the weekend you gave us in April! Most of the time that we are together as a group we have a large meeting agenda to slog through so we took this weekend as a time to relax and hang out with each other outside of an art setting. We came in with no agenda — just a plan to eat our meals together. Some of us got a little bit of work done in the studios, and some of us enjoyed some time exploring Wassaic and the nearby hiking trails. Our time at Wassaic was extra special because many of our Philadelphia members were also able to join us and it is rare that the other sites get to hang out with each other. We came out of this retreat closer as friends after sharing some wonderful memories together at Wassaic. Thank you!" Transmitter is an artist-run gallery based in Bushwick. They came up to Wassaic for a week in 2017. 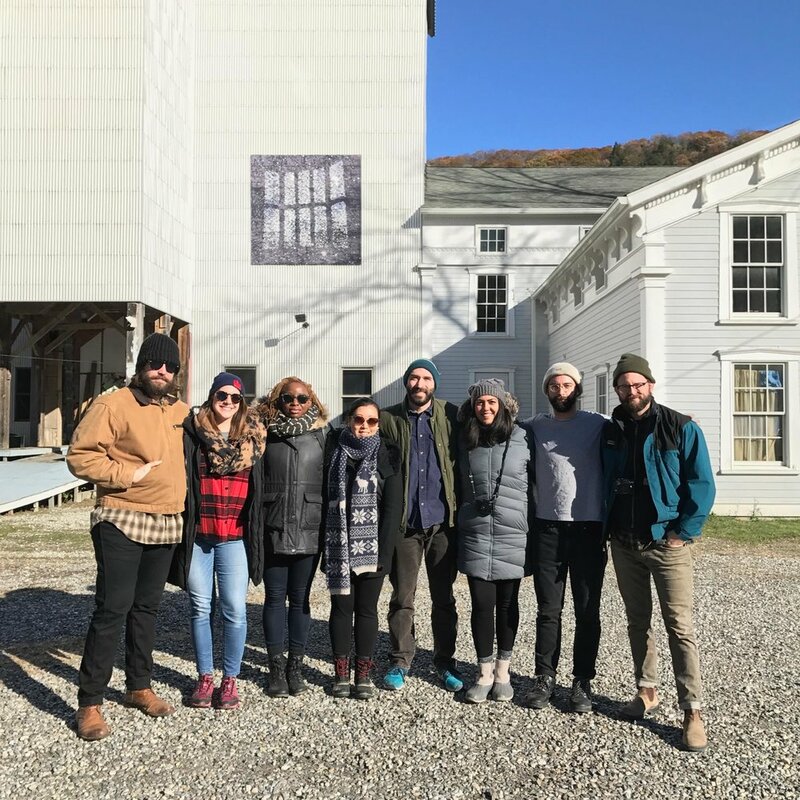 "We don't always get to spend as much time around each other as we might like, so being at the Wassaic Project was a great opportunity for us not only to focus on large decisions about the gallery, but also to get to hang out as friends with a little time on their hands, rather than busy people with long to-do lists. It didn't hurt that we got to do all this while taking long walks in the woods, eating great pizza, and enjoying a pancake breakfast at the local firehouse. When not meeting or relaxing we were also able to pop in to see the art of local residents and the installation of an upcoming exhibition at Wassaic." 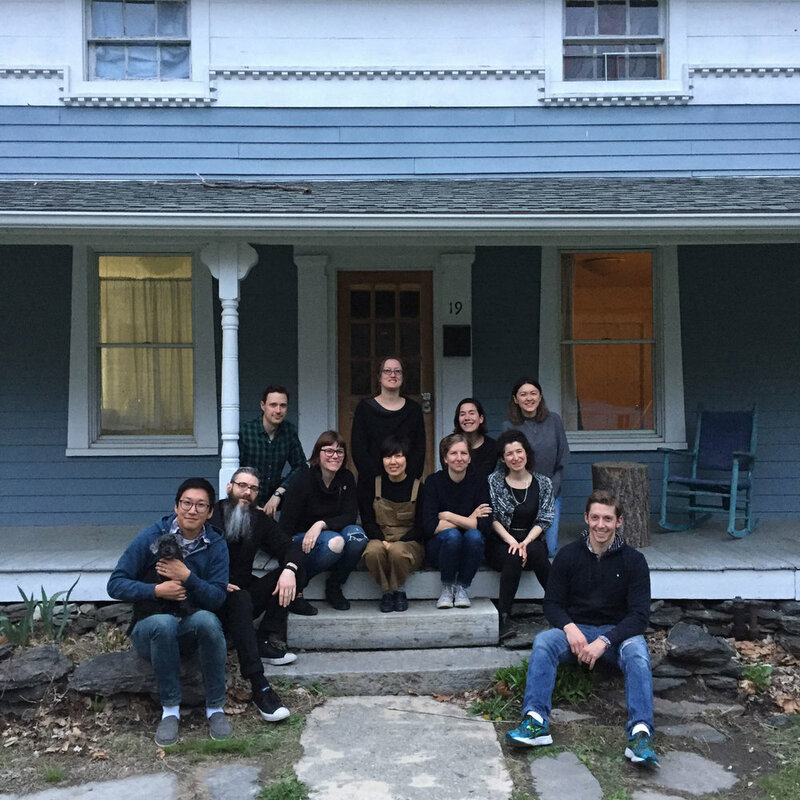 The Wassaic Camp for Rural Arts Organizers brought representatives of rural arts organizations from Epicenter, Elsewhere Museum, Appalshop, and M12 Studio up to Wassaic in April 2017. The week included tours of Wassaic Project buildings, hikes around the area, big 'ol group dinners, and plenty of workshops on community building, fundraising, and communications.